Our Guedu filter drier is used for separating solids and liquids from each other, before drying the products. The system is a 50 litre batch system made from 316 stainless steel with an ATEX rated motor/stirrer to aid in product washing, smoothing, drying/cooling and discharging. 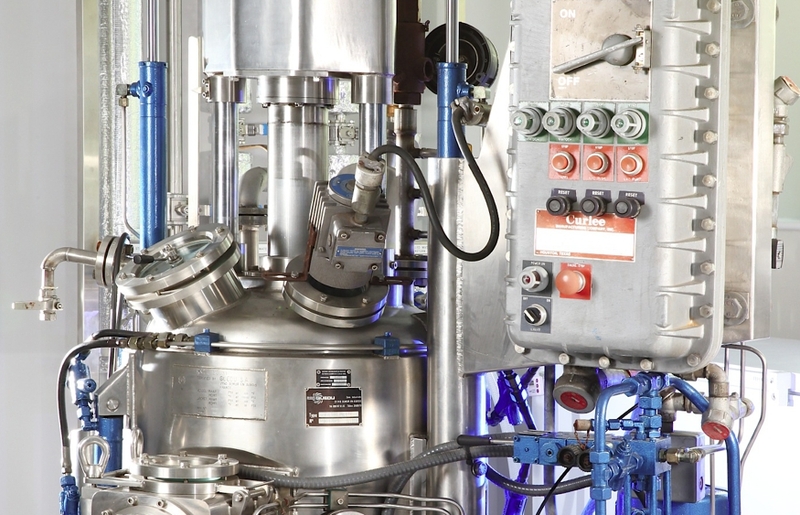 Vacuum, heat and pressure can be applied to assist in the filtering and drying process. The side discharge valve allows product sampling without risk of contamination to bulk material or the operator. This reduces the risk of contact between the environment and the vessel and between the operator and the product. To learn more about the Guedu filter drier or discuss how it could be put to use, please speak to Mark.